We used to be on B.net...then we took an arrow to the knee. Anther month of free games has arrived! As always, the Xbox one games are yours to keep as long as you maintain a gold membership while the 360 games are yours even if you drop to silver. Both titles for the 360 are available on Xbox One through the backward compatibility program. Starting off the month is Qube 2. A puzzle adventure where you manipulate your surroundings to advance. The second half of the month will feature Never Alone. The story of a girl and a Fox as they venture through the cold in search of the source of a devastating blizzard. On over 50 “Best of 2014” lists, from Eurogamer to PC Gamer, from the L.A. Times to the New Yorker. Nominated for awards from DICE, GDC, SXSW, IndieCade, and more. The whole world has discovered and fallen in love with Never Alone (Kisima Ingitchuna) — the first game developed in collaboration with the Iñupiat, an Alaska Native people. Nearly 40 Alaska Native elders, storytellers and community members contributed to the development of the game. Play as a young Iñupiat girl and an arctic fox as they set out to find the source of the eternal blizzard which threatens the survival of everything they have ever known. Xbox 360 players will start the month with Dragon Age II. A long RPG from a popular series by Bioware. 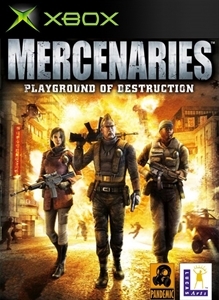 Closing out the month will be an Xbox original, Mercenaries: Playground of Destruction. 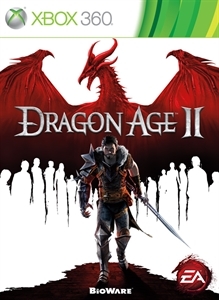 Experience the epic sequel to the 2009 Game of the Year from the critically acclaimed makers of Dragon Age: Origins and Mass Effect 2. You are one of the few who escaped the destruction of your home. Now, forced to fight for survival in an ever-changing world, you must gather the deadliest of allies, amass fame and fortune, and seal your place in history. This is the story of how the world changed forever. The legend of your Rise to Power begins now. Key Features: • Embark upon an all-new adventure that takes place across an entire decade and shapes itself around every decision you make. • Determine your rise to power from a destitute refugee to the revered champion of the land. • Think like a general and fight like a Spartan with dynamic new combat mechanics that put you right in the heart of battle whether you are a mage, rogue, or warrior. • Go deeper into the world of Dragon Age with an entirely new cinematic experience that grabs hold of you from the beginning and never lets go. • Discover a whole realm rendered in stunning detail with updated graphics and a new visual style.